I’m Phillip Chalker, the musician behind Latrobe Music. I have a long history of public performances at many different types of functions. Festivals, private functions, festivals, shopping centres, schools and in personal care facilities are just some examples. If you’re looking for a performer you can rely on to provide the right repertoire, engage your audience and match in with your wider event expectations, I can help you. 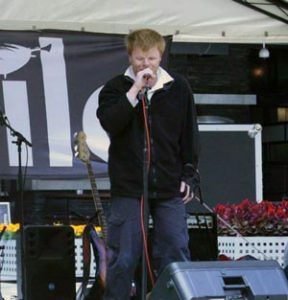 I am a music teacher and performer, have written my own songs, and have performed in a studio. Further information about me and my professional experience and qualifications are available on the About page. Audience engagement is enhanced by an audience-appropriate choice of repertoire. I offer a repertoire that’s adaptable to your audience and particular requirements. You can listen to a brief medley of my songs through the audio player link below. Disco music or a DJ’ing role can also be provided to fit with the style of your event. Just let me know about your audience and event I can draw up a song list to suit. Feel free to contact me to discuss how these options could work for your event and your audience.